ubermix 1.0 beta1 is now available for download at http://ubermix.org/files.html This first beta release is relatively "feature-complete" and ready for testing. Those of you who grabbed the early alpha release will find that the basic functionality is relatively similar (see my prior post for details), however this build now has all of the applications updated for the new build, and all of the features you know and love from prior versions of ubermix are now functional. As a reminder, ubermix 1.0 is based on the latest version of Ubuntu - version 12.04 "Precise Pangolin" - which is a Long Term Support (LTS) release that Canonical (the parent organization) intends to provide updates and fixes for until 2015. 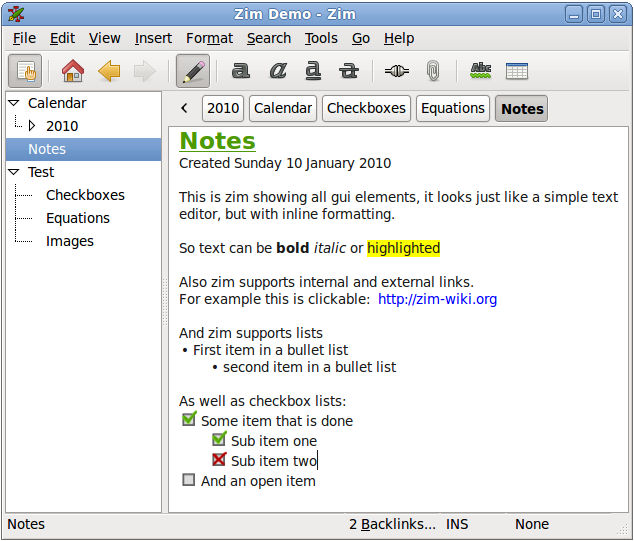 Zim Desktop Wiki: Replacing Tomboy in this release is Zim Desktop Wiki, which is a graphical text editor used to maintain a collection of pages or notes. Designed to "get out of your way", Zim makes it easy to create simple text or sophisticated, media-rich content, with strong organization tools and a variety of plugins that enhance the application's functionality. 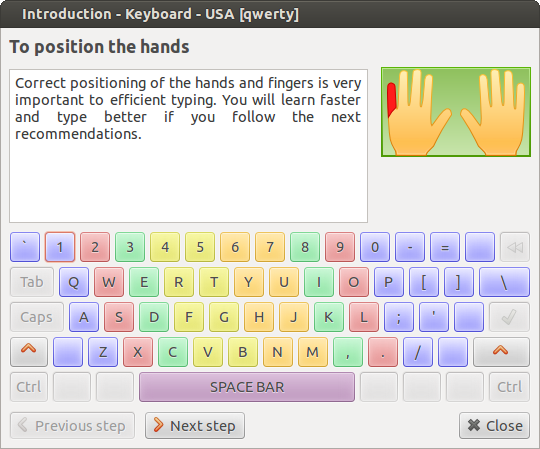 Klavaro: Replacing KTouch is Klavaro, a better organized and more functional touch typing tutor.It features a variety of adaptability, velocity, and fluidity exercises, as well as graphical charts and a scoring mechanism. 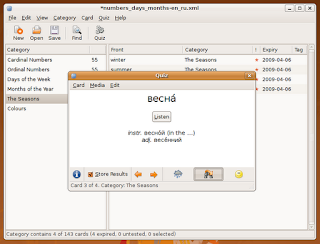 iGNUit Flashcard Trainer: iGNUit is a memorization aid based on the Leitner flashcard system. It has a GNOME look and feel, a good selection of quiz options, and supports UTF-8. 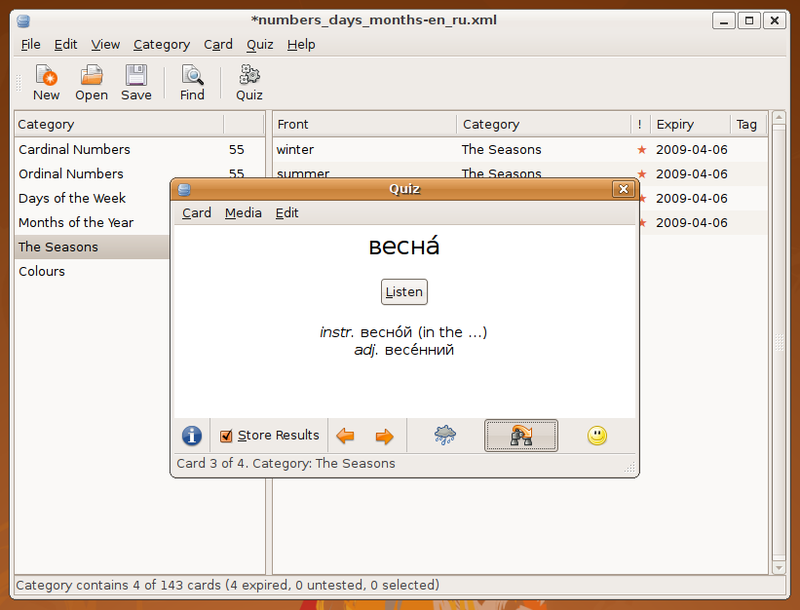 Cards can include embedded audio, images, and mathematical formulae (via LaTeX). It can import and export several file formats, including CSV. Great for both long-term learning and cramming. 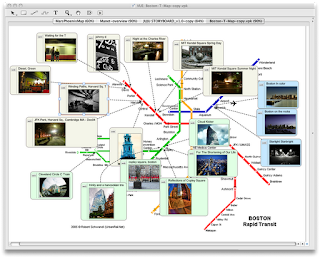 VUE Visual Understanding Environment: The Visual Understanding Environment (VUE) is an Open Source project based at Tufts University, focused on creating flexible tools for managing and integrating digital resources in support of teaching, learning and research. VUE provides a flexible visual environment for structuring, presenting, and sharing digital information. Freeciv: Freeciv is a Free and Open Source empire-building strategy game inspired by the history of human civilization. 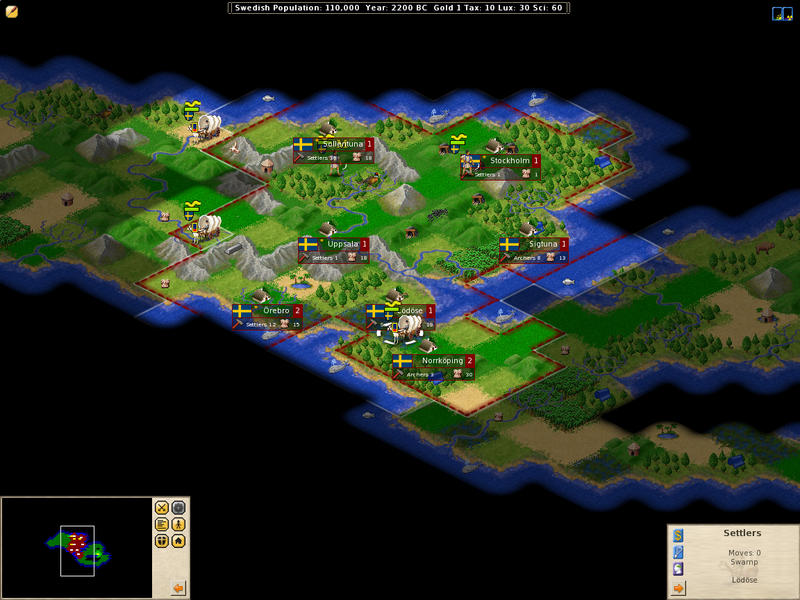 The game commences in prehistory and your mission is to lead your tribe from the Stone Age to the Space Age. 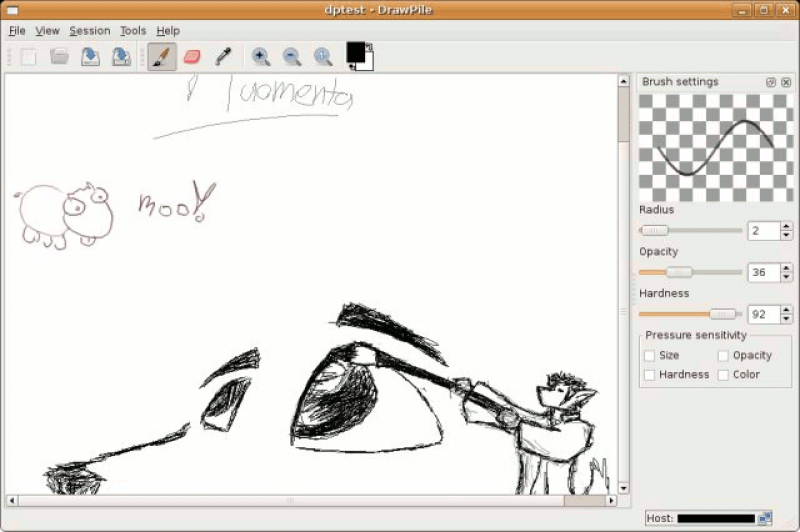 Drawpile: DrawPile is a sketching oriented drawing program with a twist: you can share your drawing live with other users. There are no restrictions on who may draw where; every user has full access to the whole picture simultaneously. TBO Comic Creator: TBO Comic Creator is an easy and fun application for telling stories through comics. Comics created with TBO Comic Creator can be exported to PDF, SVG, and PNG for easy distribution. 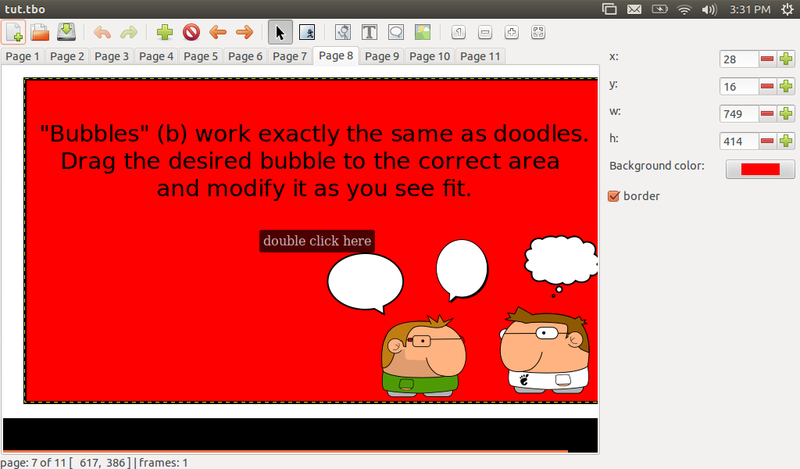 There are many ready-to-use characters, callouts, and templates which make TBO Comic Creator very easy to use. Nitro Tasks: Nitro is a light task manager, that presents via a simple yet fancy interface with a place to add, edit and manage task lists with due dates, importance level and logbook support. 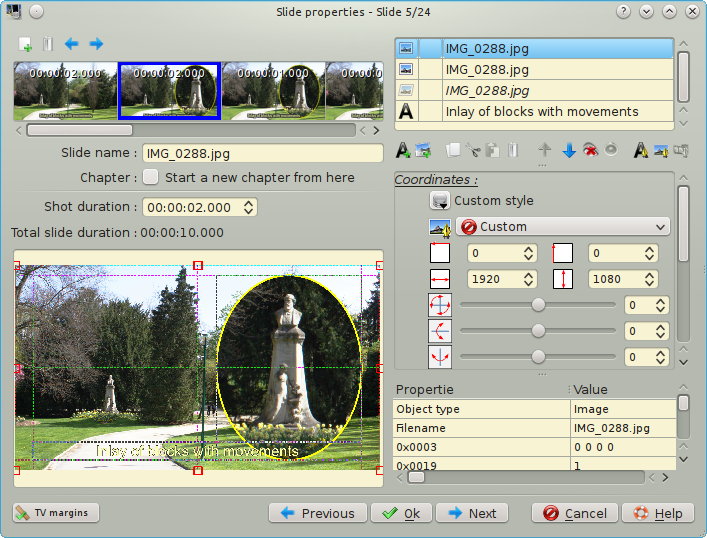 ffDiaporama Movie Maker: ffDiaporama enables you to create video presentations or slideshows from your photos, movie clips and background music. You can spice up your slideshow with custom title slides using text, images and animated effects as well as slide and background transitions. If you want quick results, you can simply add your images to the project and create a standard slideshow, or you can customize the look and feel by editing individual slides and apply zoom effects, object rotations, text annotations and other custom effects. Of course, these new applications are only a fraction of those that come with the ubermix. 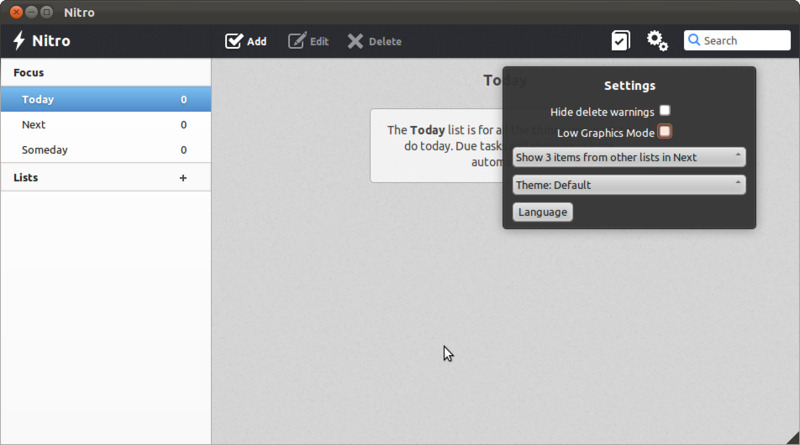 So have a look, play with the new applications, test your old favorites, and provide feedback. The most important person on the ubermix team is you! There is an oops with the Zim config that causes it to throw an error on first launch. To get around it, click "Remove" to remove the notebook path, then "Cancel" and relaunch. Certain Java sites like wordle.net don't work with Firefox or Chrome. Also having out of the box issues with my mic on my eee 1011cx in audacity. Same flash mic access issues on certain sites like voicethread as with older builds of 11.04. Thanks Aaron, I have a fix for the Java plugin coming in rc1, but you can get it going by opening a terminal and typing "sudo apt-get install icedtea6-plugin". Have you already fixed the mic using the instructions on this page? Jim, both fixes worked on my netbook. Thanks for the direction.